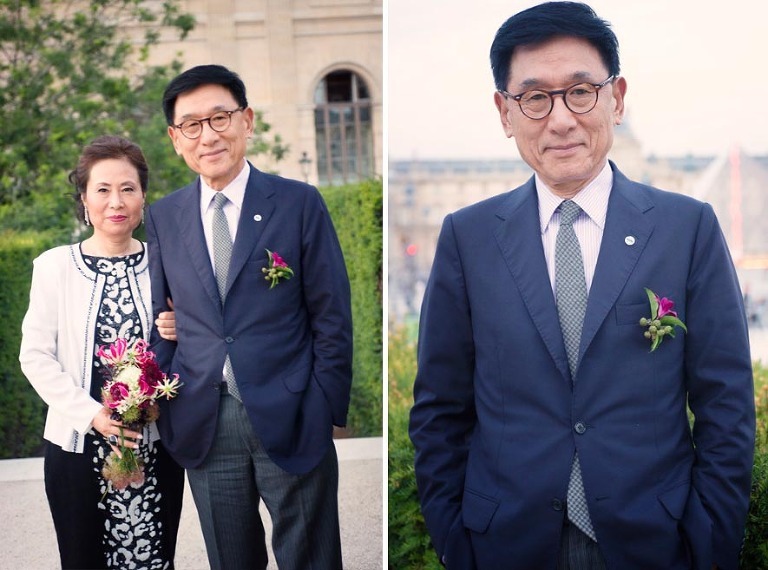 My Friend Stephanie asked me a big favor “she said” she had been contacted from relatives in Seoul who wanted to celebrate their wedding in Paris. This is how I met Mr Kim and DJ on a beautiful afternoon. I organized hair & make up for them as well as the wedding gown and the rental of the tuxedo via Jean-Jacques ceremonies. They were both utterly charming and it was a real pleasure to spend the afternoon with such a lovely couple. My Kim so I found out happens to be N0 two of South Korea national TV and an avid photographer himself + quite a personality. I told us numerous gossips along the way about celebrities he met through out his long career. Audrey Hepburn and Breakfast at Tiffany came back in the conversation a few times as we were walking the streets of Paris! © 2019 Destination wedding photographer videographer Paris Normandy France|ProPhoto6|Design by Northfolk & Co.